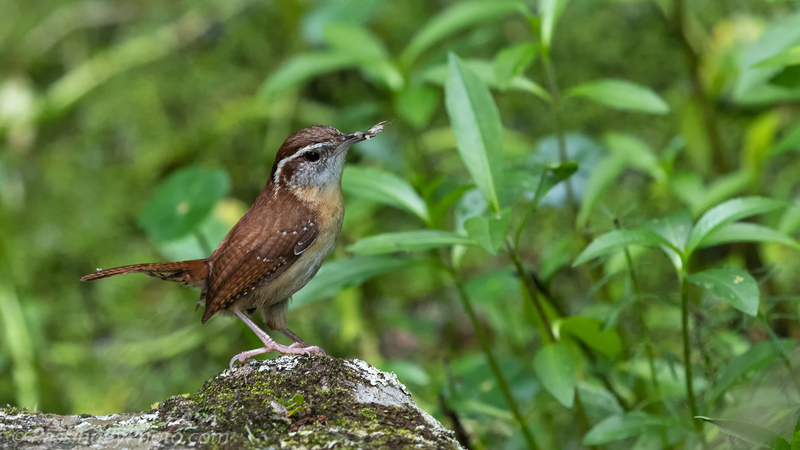 I recently posted that it took me almost three years to get a decent image of a Carolina Wren. Two days later another opportunity presented itself, complete with a snack! And you have captured it so beautifully, Ellen! I love his/her pose. Thanks, Pete! These wrens always look jaunty with their tail high. What a little beauty. Wonderful photo! Thanks! I love their colors and they always look so perky. You must have been happy with this one! Congrats! Lovely picture Ellen, you photographed it at the right moment. Thanks, Greta! Yes, he was about to disappear with his lunch!